I wanted to roast some cauliflower and was thinking about what spices I wanted to use. I love it roasted with za'atar but had just made za'atr bread for a potluck dinner and had used it all for that. I also like it roasted with cumin and coriander so I decided to go in that direction. So I decided to go with a more Indian-spiced theme, but I wanted more than the cumin, coriander and turmeric combination I usually use with roasted vegetables so I basically pulled out the entire army of basic Indian spices. The result was spectacular. 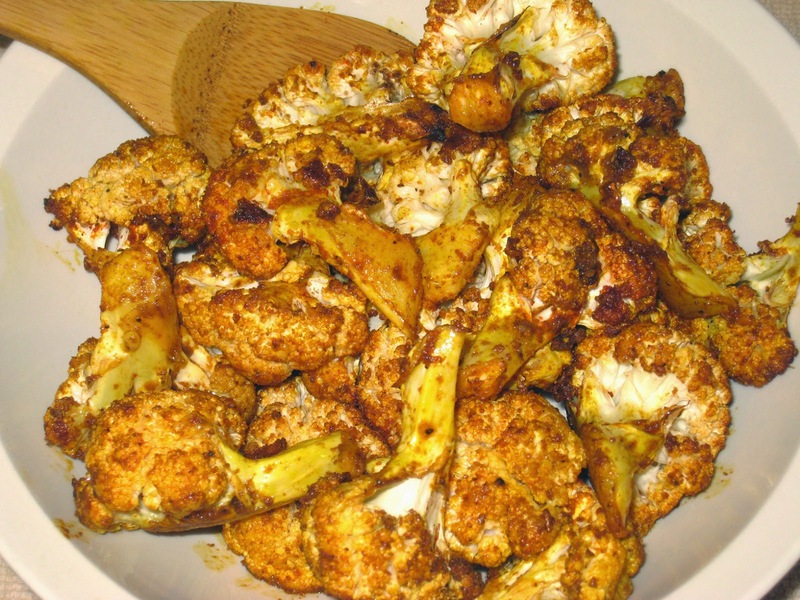 The spices blended together perfectly and provided a fresh, vibrant flavor to the cauliflower. This is a dish that is sure to wow even the most jaded palate. Preheat oven to 425°F. and line a large baking dish with parchment paper. Cut cauliflower into large florets and place into a large bowl. Add the salt and rest of the spices. Add the olive oil and mix well. Spread the cauliflower out on a rimmed baking sheet that has been lined with parchment paper. Place the baking sheet on a middle rack in the oven and bake until the cauliflower is just soft, 25 to 30 minutes. Be careful not to overcook it.